We are a boutique portrait studio located in Old Town Littleton Colorado specializing in contemporary portraiture of amazing people. We pride ourselves in making your portrait experience something you will never forget. We produce high quality Family Photography, Senior Portraits and Studio Portraits in our gorgeous state of Colorado that will last a lifetime. Our full service boutique studio in Historic Downtown Littleton is located at 2686 W Alamo Ave and includes a full-service makeup and dressing room, a screening room to view your photographs in stunning detail, and a friendly super fun atmosphere. "Kendrick and Jenni are the team you want to work with. From weddings to headshots to portfolio shoots- they've done it all for me. At the risk of sounding over the top I will say this; you will never work with another photographer more willing to see YOU, and bring that out in your photos. The experience will be worth every moment!" Denver Bronco, 1st Round Baby, Family is life! This family portrait session captured such a fun moment in the Bollles' lives, and the gorgeous fall colors in Parker, Colorado were the perfect setting. PORTRAITS TO CELEBRATE YOUR SENIOR YEAR IN STYLE! 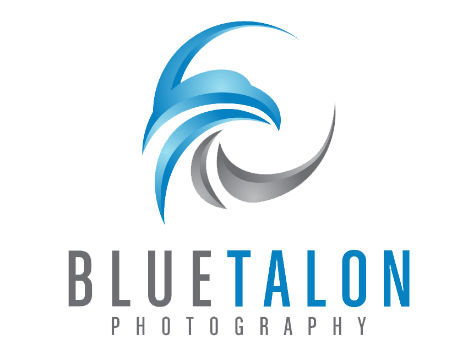 At Blue Talon Photography, you have the opportunity to have a once-in-a-lifetime stylized senior portrait session designed especially for you by Kendrick and Jenni. How do we do it? What makes us different? It all starts with a pre-shoot consultation where we get to know you: who you are, what your interests are, where you want to go in life! We'll help you outline what YOU want to get out of your senior portrait session, and how we can help tell YOUR story! The typical photography studios try and get to know you during a quick shoot in front of pre-set locations on their property. You may shoot with any one of their staff photographers, and honestly you are likely to get some good quality shots. We will give you a much more specialized experience, catered specifically to you. Your photographs are not going to look like everyone else's in your school...you are going to stand out in the most amazing way! We only photograph 150 high school seniors each year, not the 500 or more the other portrait studios in town are trying to shuffle through. We want to make your experience special, not just a cookie-cutter copycat of what everyone else is doing. Your senior portraits are going to be unique and exclusive, just like you! The sky is the limit... have you dreamed of a shoot at Red Rocks, in Downtown Denver, on a farm, at your school's track? Or how about a shoot in the mountains with the wildflowers? We can do that and make it as unique as you are! At Blue Talon Photography we live and breathe that wonderful quote. We humans are physical beings, not lifeless digital programs. Unfortunately, computers are where pictures go to die. Think about it, where is that shot of you in Mexico you took 5 years ago? When is that "someday I'll get prints made and displayed in my home from my digital files" actually going to come? This family gets to see this amazing shot every single day, and it's the most commented about piece of art in their home! Smart phones are such an awesome way to capture our everyday experiences in ways that previous generations could have never even dreamed of. Selfies? They didn't even exist prior to 2002, and look at us now! This is different. This is an opportunity to have fine art portraits made by a professional photographer to capture a very special time in your life, and to own beautiful, tactile prints that will preserve your legacy for generations to come. Digital is unreliable! Here are some things to think about from the Today Show. Having said that.... we know social media is important and we will will GIVE you a digital copy of every image you select for purchase, and we will optimize it for social media. You will also get a free photo-sharing phone app which will make it even easier to share your pics. BEAUTIFUL PHOTOGRAPHIC ART FOR YOUR HOME! It's not a photograph until it's printed. We will help you design beautiful art to display in your home. We produce all types of photo art including albums, books, collages, and especially wall art. With a few quick snapshots of your rooms that you take on your cell phone, we'll be able to show you exactly what the prints will look like on your wall before you order! COLORADO-STYLE PHOTOGRAPHY...LIKE NO PLACE ELSE! The lovely Annika stepped in to her sunset session in style! This amazing shot was taken just minutes away from our Parker studio. The Senior Grand Experience is an elite package unlike anything you've ever experienced before...a custom photo session where you are the star! You'll be pampered with hair and makeup, unlimited outfit changes, a beautiful and high-quality 20-image album, plus social media digitals. This will unequivocally be THE STORY OF YOU...so far! While we help you create beautiful printed memories for your home and family, we also provide digital copies of ALL the images you order at no extra charge. In fact we deliver them to you optimized for social media! Josh and Baby Breck...she's already been recruited to be a senior model for the Class of 2035! Check our our family portraits.